FaceWorks is a library for implementing high-quality skin and eye shading, using techniques based on those seen in NVIDIA's "Digital Ira" demo. It currently includes a high-quality but efficient subsurface scattering implementation. Rendering the human face continues to be an area of critical attention in computer graphics. In both games and film so much of the story can be told through subtle human expression but it's the very subtlety of these expressions that brings the challenge of simulating it in real time graphics. Today we like to share with you digital IRA. IRA represents the next step forward in two important areas. 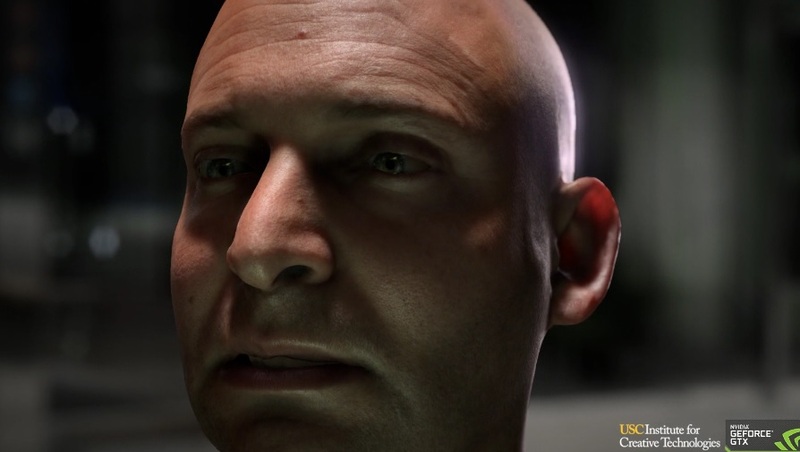 Human skin rendering using Nvidia's FaceWorks technology and performance capture using light stage technology developed under Paul Debevec at the institute for creative technology at USC.